Once upon a time, Knoxville was seen by most as just a college town or another city on the outskirts of the Smokies. But today, it is a destination in-and-of itself, with a bustling downtown, vibrant nightlife, and impressive outdoor amenities accessible without leaving city limits. It's a great city to visit and to spend some time wandering around, so, without further ado, here’s your best bet for a great weekend in Knoxville. First things first. you need to find a place to get that early morning coffee fix. A favorite spot of locals is K Brew. It's an intimate place, but don’t let its size fool you. It has the coffee acumen of a much larger coffee shop from a much larger city. 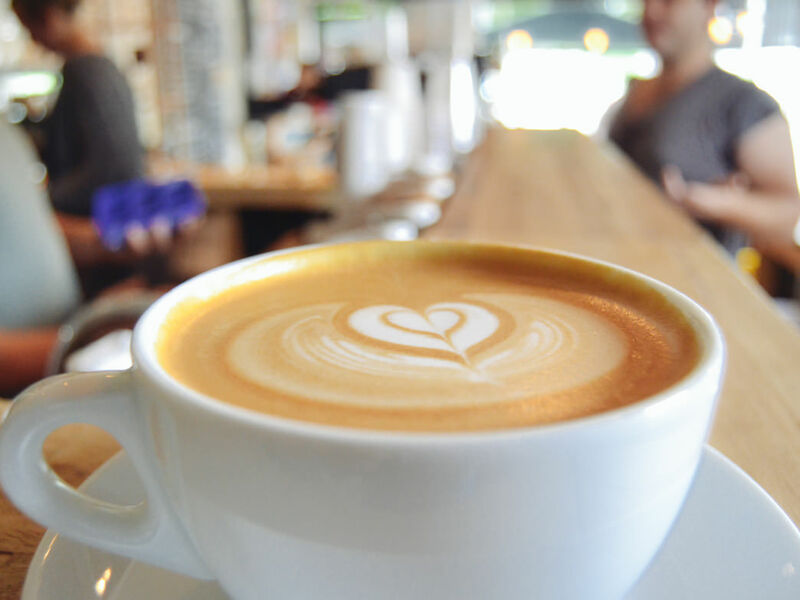 After only a couple years in business, they earned major bragging rights when they won a spot on Alton Brown’s list of the country’s best coffee shops for 2014. They offer a new roast every month, and keep a constant rotation of seasonal beverages and biscotti for fresh options every time you come in. What doesn’t change, though, is the warm hospitality of the team. If you start going consistently, expect to step in off North Broadway and be greeted by name. Another great shop is Remedy Coffee. Remedy aims to pump life and energy into Knoxville with simplicity and excellence. They stick with a standard partner roaster, Intelligentsia Coffee, and provide the basic traditional drip and french press options, as well as Chem X and cold brew. A portion of proceeds from Remedy are donated to local organizations that bring growth to Knoxville in innovative ways. 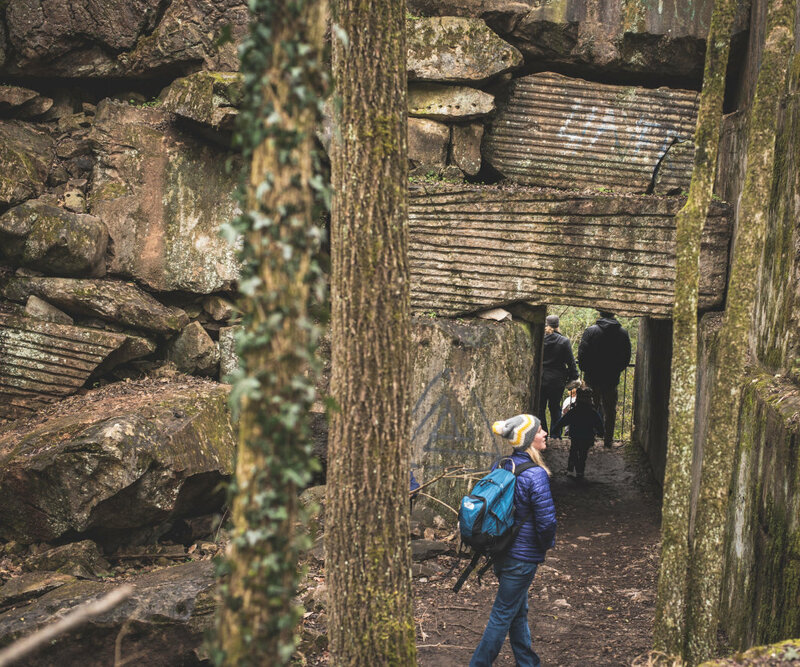 Knoxville has a vast array of trails to choose from in and around city limits, offering hikers everything from an easy afternoon hike to a more rugged adventure in the wilderness. Folks at River Sports Outfitters right in Knoxville will be able to provide more information about these trails and get you geared up with everything you need before heading out. If you want to get away from the city without leaving city limits, Knoxville’s Urban Wilderness has you covered. Within its vast 1,000 acres of green space are miles upon miles of single-track and double-track trails, connecting some of the city’s favorite parks. 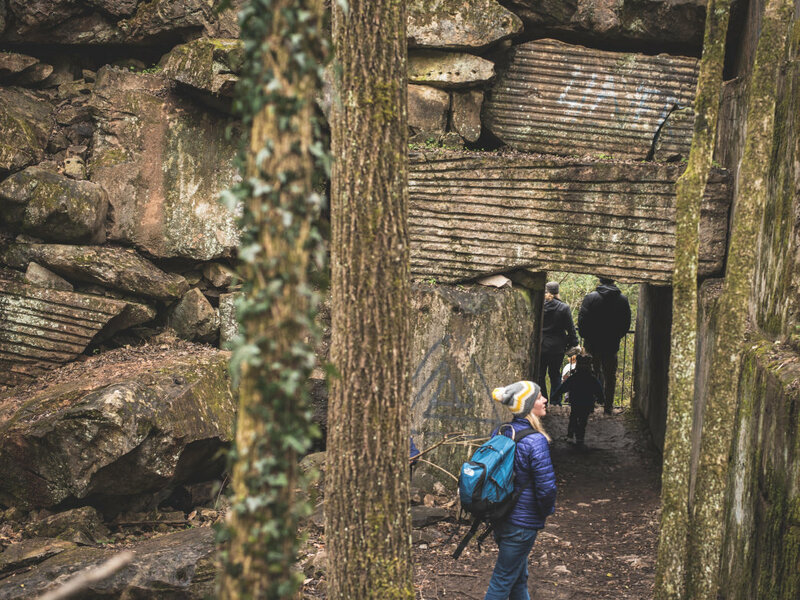 You can hike the 12-mile South Loop for the best taste of the Urban Wilderness's offerings, explore the old mining areas at “The Keyhole” in Ross Marble Quarry, or traipse along the river boardwalk near Ijams Nature Center. If you want to escape the city entirely, the nearby Great Smoky Mountains National Park hardly needs an introduction. Cascades and waterfalls can be found along almost every stream and river, and world-renown wildflower displays, autumn leaf changes, and firefly spectacles draw huge crowds every year. A day trip to the Smokies can be as relaxing as an afternoon drive up to Newfound Gap Overlook or as adventurous as an early morning hike up to Mount LeConte to watch the mist rises up off the ridges. Anyone looking for a truly rugged wilderness experience should head to the Joyce-Kilmer Slickrock Wilderness, where they’ll encounter steep elevation changes and potentially waist-high water crossings on this 12-mile loop considered by many the most beautiful trail in the Southeast. It’s a tough endeavor, but Wildcat Falls, and the beautiful views from Big Stack Gap Branch and the Fodderstack section will make the whole trip worthwhile. And while it is possible to hike the full loop in a day, we suggest making it a two-day trip, so you can spend at least one night under the stars. If it's around lunchtime and you find yourself racked with both hunger and indecision, there’s no better place to go in Knoxville than Market Square . There’s a wide variety of options clustered in this great gathering space, with even more variety on nearby Gay Street. Our personal favorite is The Tomato Head next to Cafe 4. Many come in for the spectacular pizzas, made to order with farm fresh ingredients, but you might also try their famous Oh Boy! Sandwich, presumably named for the response it elicits from customers when it finds its way to their table. The Tomato Head also has great brunch options. Add a side of Benton’s bacon and you can’t go wrong. If you’d like a bit of southern cooking during your stay in the cradle of country music, stop in at the Round Up Restaurant & Ice Cream Parlor in South Knoxville. This down home dive has some of the best greens, fried okra, and meat loaf around, served with friendly southern service and a little bit of sass. Good thing it’s only a few minutes away from the Urban Wilderness, because you’ll likely need to walk off the extra calories you'll gain dining at this local favorite. If you’re in town during one of the warmer months, head down to Market Square on Saturday morning for the Farmer’s Market. The Market runs every Saturday from 9am until 2pm, May through November. You can stock your fridge with groceries, grab a pastry, purchase some delicious coffee, or buy some locally made jewelry for that special someone. But the Market isn’t just a place to shop, it’s a cultural hub, with visitors from all across the city gathering to enjoy food, musicians, buskers, and people-watching. Knoxville Museum of Art is a great rainy day destination, perfect for culturing your kids and enjoying some of the greatest art to come out of Southern Appalachia. The stunning building designed by renowned architect Edward Larrabee Barnes is sheathed in locally-sourced Tennessee marble and hosts a regularly changing rotation of exhibits. The Creative Corner on the main floor invites kids to artistically express themselves with a host of mediums including a giant lite-brite. Once the weather clears, take the tots across the street to newly-renovated Fort Kid to enjoy Knoxville’s favorite playground. Want to explore the music scene in Knoxville? Head downtown Saturday night to Preservation Pub or the Pilot Light for live music and drinking. Both venues regularly host local and regional performers, sometimes even drawing in nationally-renowned names. If you’d like something a little calmer and celtic, check out Boyd’s Jig & Reel. Great pub food, a large draft selection, and folksy bluegrass music on an intimate stage make this a great spot for those looking to take it easy. For dinner, we’ll take you a little ways away from Market Square to the Bistro at the Historic Bijou Theatre . The Bistro at the Bijou has been serving farm fresh meals since the 90’s and to this day maintains a delicious, simple menu with something for all diets. You’ll fall in love with the Bistro’s charming interior. Bare brick walls and a bare-chested woman (a painting of one, that is) greet you in this cozy space that has seen quite a lot of history, including visits from four U.S. Presidents. 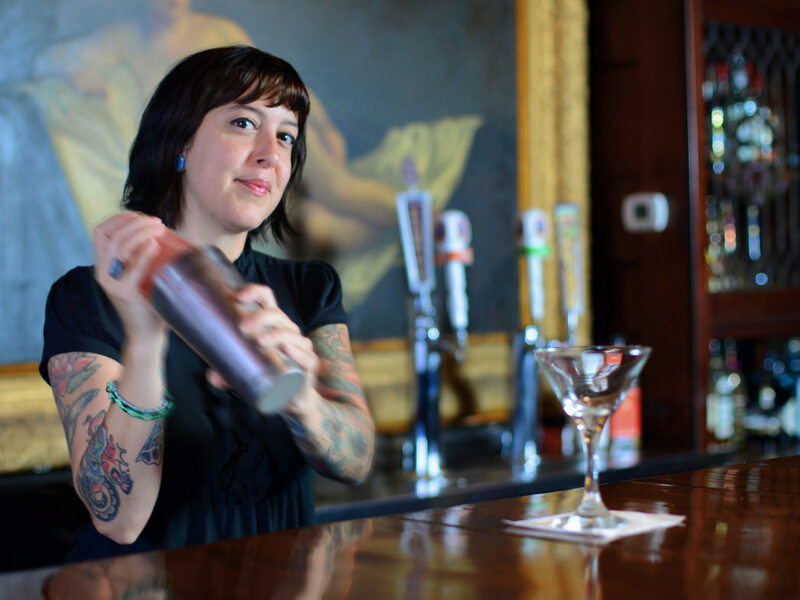 Since its construction in the 1820's, the building that now houses the Bistro and the Bijou has been a private residence, a hotel, a hospital, and an X-rated movie theater, and now its current incarnation as a beloved music venue and restaurant. There are plenty of perfectly good campsites scattered around the edges of Knoxville, but the best destination campgrounds are in the Smokies. The Cades Cove Campground is nestled in the verdant valley that forms Cades Cove, one of the most popular destinations in the park. From the campground, guests have easy access to the 11-mile loop that curves around the cove and sees more than two million walkers, bikers, and drivers annually. If you’re looking for something a little more adventurous, the trail to Rocky Top and Thunderhead Mountain starts on the edge of the campground and follows a strenuous stretch of trail about seven miles up to the top. The popularity of Cade’s Cove does, of course, have one downside: the crowds. The campsite is very often packed, with weekend reservations often completely full weeks in advance. 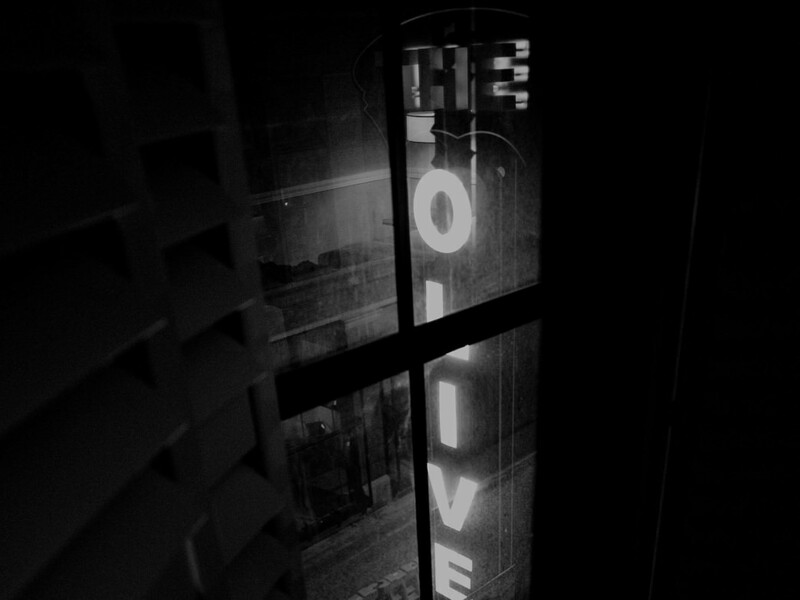 For the quintessential urban lodging experience in Knoxville, there’s no competing with The Oliver Hotel on Union Avenue. This hotel has hosted movie stars and rock legends, and when you spend the night, you’ll feel like one, too. Handcrafted furniture and original artwork (no murky Caribbean watercolors or cheesy still life prints here) adorn every room, and guests are literally steps away from the heart of downtown Knoxville. You’ll live like a king at the Oliver, just be prepared to pay like one too. If you’re looking for more of a sleepy mountainside getaway, we suggest booking a cabin in Townsend, which is just a 45 minute drive from the city and right on the edge of the Smokies.